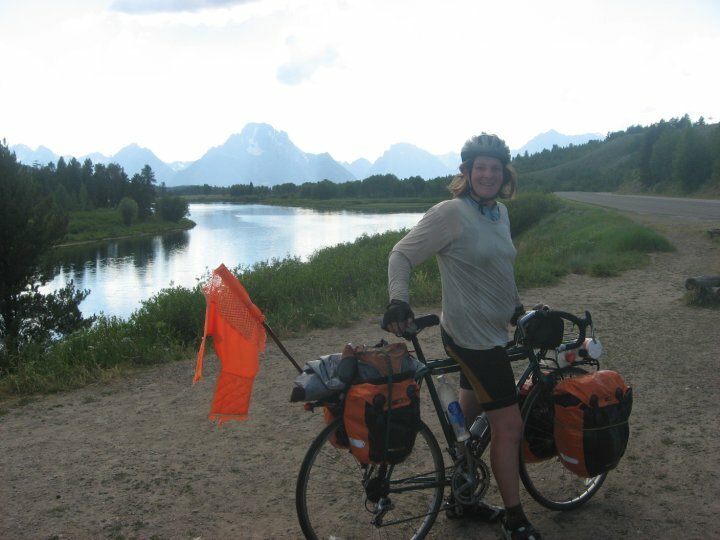 In the summer of 2010, Jamie rode her bike more than 4500 miles from Virginia Beach to Portland, Oregon (and yes, I’m trying to convince her to write that story). When she got back to Vermont after her bike trip and a jaunt to Scotland with her Uncle and Grandmother, she turned her attention to creating a sustainable home as cheaply as possible with the added twist of ensuring she could easily close it all up and go on continued adventures around the globe. 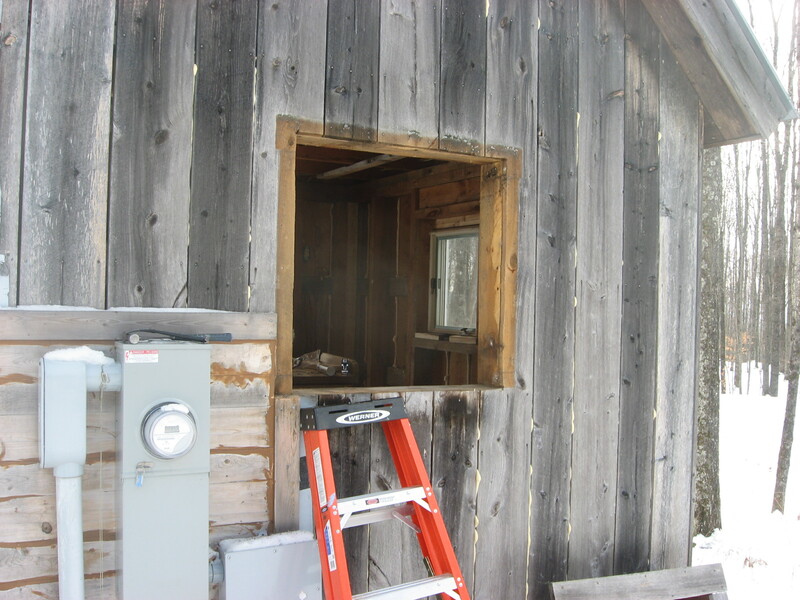 Her stepfather works in construction and in many cases Jamie was able to salvage unwanted or unneeded lumber and other odds and ends from construction jobs, slowly creating the revamped inside of the tiny house. She obviously had to purchase some materials but was able to build slowly enough that she incurred no debt at all over the year she spent building. When I asked her how much she spent to build the house and tool shed out back (more on that later), she guestimated $4,000 for both. Just imagine – for the cost of an average wedding in the United States, you could build five Tiny Houses! 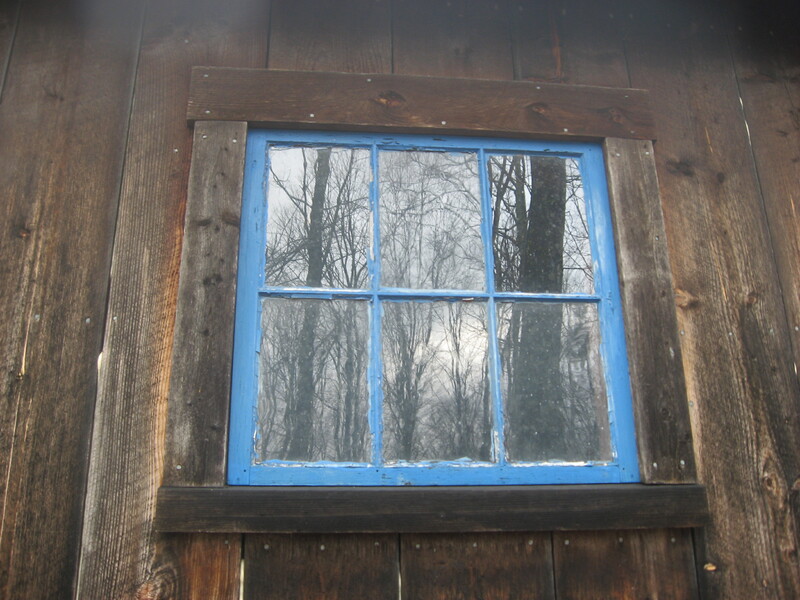 Some of my favorite photos from early in the building process are of the details present on the original tool shed. 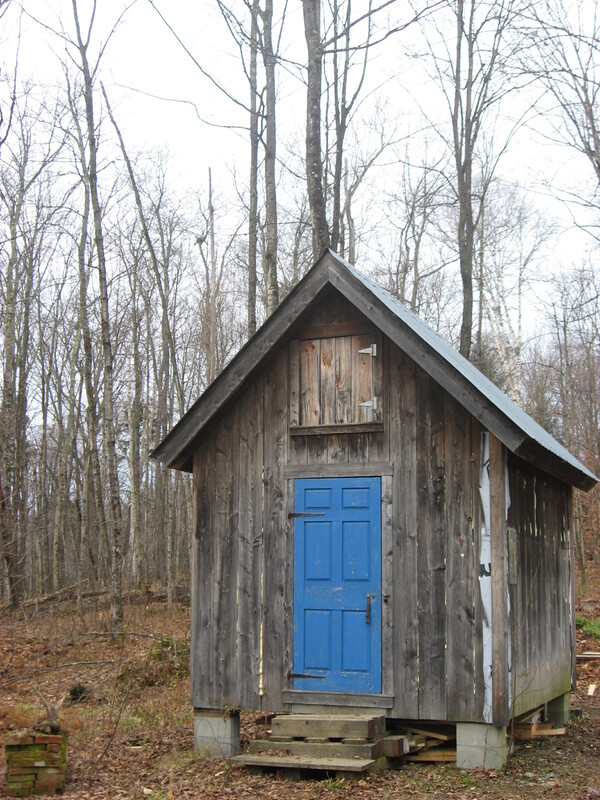 I recently learned that her stepfather, Steve, actually built the tool shed several decades ago. Somehow I don’t think he ever imagined Jamie would one day turn it into a home. I absolutely LOVE the blue door. Jamie saved it to go on our tool shed. In searching for photos from early in the building process, we found a narrated video Jamie created on her iPhone. Her initial plan was simply to test the video feature on her phone, but since she saved it, you can click this link to connect to our Google + page and see the super cool video yourself (In the interest of full disclosure, I did suggest that Jamie may not want to quit her day job). « What’s a Composting Toilet?